A 23 year old crafty student from Great Britain, Kieron Scott-Woodhouse has come up with a unique design smartphone, which is made from a four year old organically grown bamboo that has been treated to improve its durability. The smartphone featuring this unique bamboo design is called ‘ADzero’ a.k.a ‘AD’, and is powered by Google’s Android operating system. Baffled by the lack of designs in the smartphone market, Middlesex University student Kieron Scott- Woodhouse recently came up with his own theme – a smartphone with its casing carved from a single block of bamboo. After posting his creations on forums and websites, he was contacted by a technology entrepreneur who wanted to bring his ideas to life. 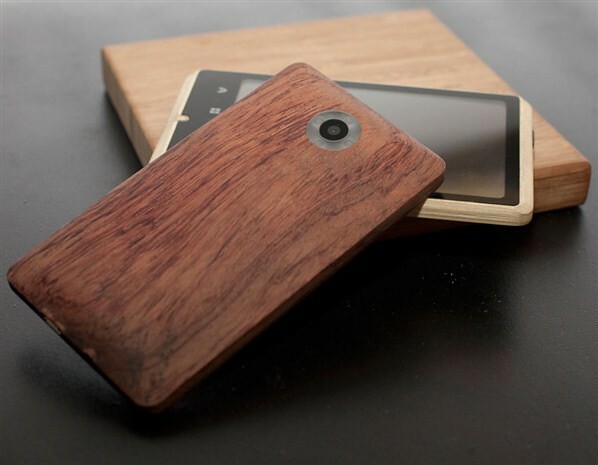 Like the other smartphones out there, the bamboo designed ADzero will also feature a camera. It also offers a unique technology called ‘ring flash’, which is currently not available in any of the smartphones. A circular photographic flash around the camera’s lens assures very even illumination and minimises shadows. The unique handset is made from as many materials from sustainable sources as possible. Bamboo may seem like a strange material to use for a phone, but it’s actually extremely strong and very durable, perfect qualities for this kind of application. The whole experience so far has been incredible and completely unexpected. Completing my final year and working has been challenging, but my course and the project complement each other well and it’s a great start of my career. I can’t wait to see my mobile phone in the market this year. The Adzero is a prototype running on Google’s Android 4.0 Ice Cream Sandwich operating system. The full specifications aren’t available yet, however, it will feature a bigger screen than the Apple iPhone 4S and weighs considerably half of much. 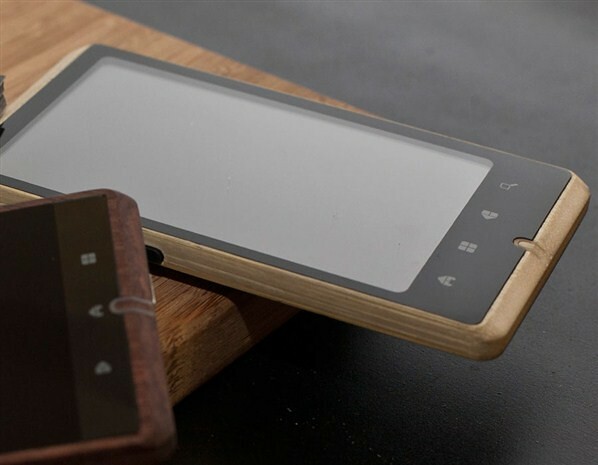 This bamboo Smartphone was initially intended for the Chinese markets, but after receiving an enthusiastic response at a design show in London during London Design Week 2011 event, his company ‘ADzero’ planned on launching the phone in the United Kingdom first and then open up to other markets. The company will target ‘design aware’ retailers and boutiques in the UK. The web has opened up the highly competitive design sphere and enabled those with talent to get noticed more easily. Kieron-Scott is a remarkable designer and has made the most of the opportunities Middlesex has provided, which put him in good stead to make his new company a real success. dis phone looks relli cool!!! !